Different words used in a sentence have different functions. According to these funtions, words can be classified into eight (8) categories. No word has any fixed category. Its category depends upon its function in a sentence. Noun : A Noun is a name of a person, place or thing. Example – Jackson, Los Angeles, Table, etc. Pronoun : A Pronoun is a word used instead of a noun. Example – He, She, You, It, I, We, They, etc. Adjective : An Adjective is a word used to add something to the meaning of a noun or a pronoun. Or, An adjective qualifies a noun or a pronoun. Example – A good boy, A fast train, Much labour, five coins, etc. Verb : A verb is a word used to say something about some person, place, or thing. Example – She went to school; Kanpur is an industrial town; He is dumb. Adverb : An Adverb is a word used to add something to the meaning of a verb, an adjective, or another adverb. Example – He worked hard; He came suddenly; She is very slow; She finished her work very quickly. 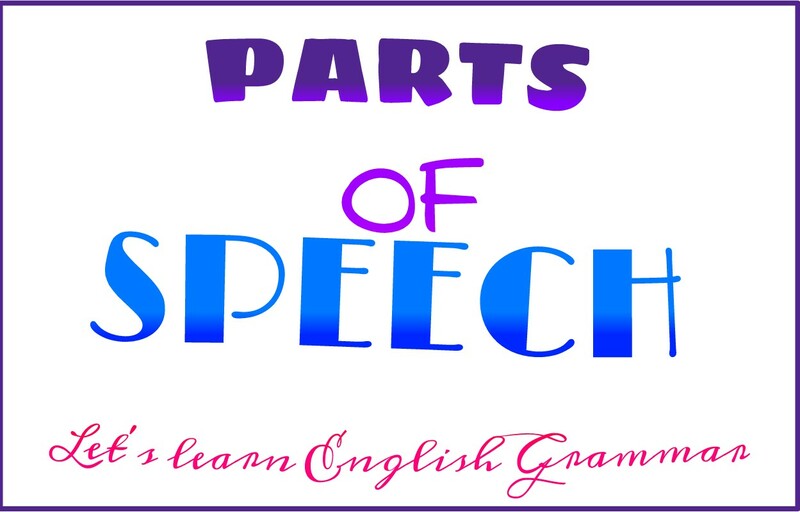 Preposition : A Preposition is a word used with a noun or a pronoun to show how the person or thing denoted by the noun or pronoun stands in relation to something else. Example – on the road, in the house, by courtesy, with him, etc. Conjunction : A Conjunction is a word which is used to join words, phrases, clauses and sentences to one another. Example – John and Mary, through thick and thin, he run fast but missed the train, etc. Interjection : An Interjection is a word which expresses some sudden feeling. Example – Alas!, Hurrah!, Oh!, Bravo!, etc.